The Manual Carousels rotate materials with the assistance of an operator. 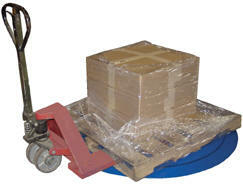 Now loading and unloading operations can be done more efficiently; minimizing fatigue and risk of back injury. 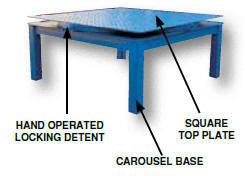 The carousel may be added to an existing work bench, scissor table, or simply placed on the floor. Constructed of two pieces of rolled structural angle (3/16" thick). 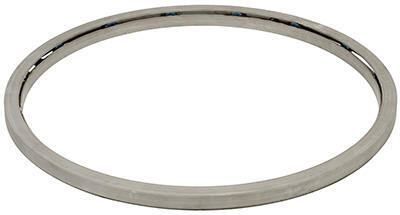 A series of sealed ball bearings transfer the load smoothly and evenly to the supporting surface. Four guide rollers keep the rings aligned. 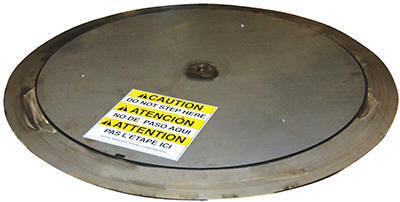 Do not exceed the diameter of carousel when ordering top plates. Top Plate & Top Ring are welded together. Contact factory for other fastening options. carousel may be added to an existing work bench, scissor table, or placed on the floor. Constructed of two pieces of rolled structural angle (3/16" thick). 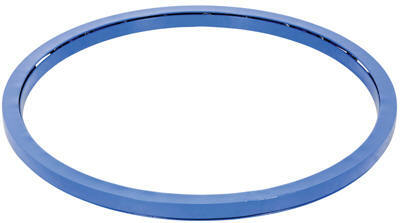 A series of sealed ball bearings transfer the load smoothly and evenly to the supporting surface. Four guide rollers keep the rings aligned. 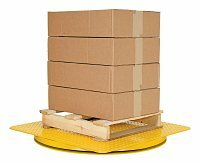 Designed for efficient loading and unloading operations. With an aluminum construction, the carousel rings can be placed on an existing work bench, scissor table, or even place on the floor. Additional features include; internally sealed roller bearings, guide rollers, and a powder coat finish. The Heavy Duty King Pin Carousel has all the ergonomic benefits of the standard carousel with a top plate and stabilizing center pin. Unit will handle a wider variety of loads. 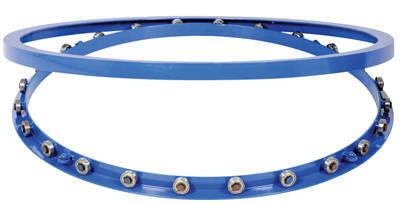 Features include 1/4" tread plate top on 4,000 lbs. and 3/8" tread plate top on 6,000 lbs. models. Also includes a heavy-duty maintenance free bearing. The king pin design allows off set loading up to 50% of the capacity on at least 50% of the deck. Standard top plates are square with rounded corners. Round top plates and other detents/brakes are available by contacting factory. 4-3/8"; slope is a mere 11°. A safety detent lock restricts carousel rotation when not in use. Units require a starting force of 35 lbs. and a maintaining force of 25 lbs. Units are not suitable for wash down applications. Please contact factory.